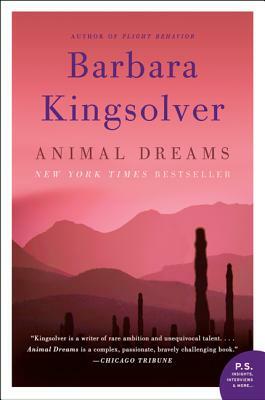 From Barbara Kingsolver, the acclaimed author of Flight Behavior, The Lacuna, The Bean Trees, and other modern classics, Animal Dreams is a passionate and complex novel about love, forgiveness, and one woman’s struggle to find her place in the world. Filled with lyrical writing, Native American legends, a tender love story, and Codi’s quest for identity, Animal Dreams is literary fiction at it’s very best. This edition includes a P.S. section with additional insights from Barbara Kingsolver, background material, suggestions for further reading, and more.